Pet's and the outdoors. There is nothing more fun! 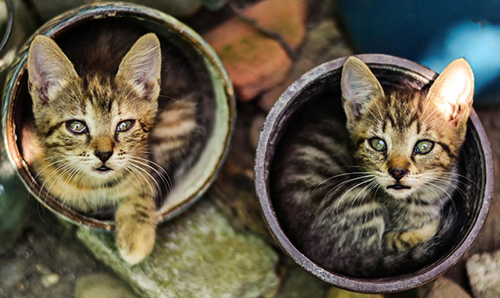 However, if your pet spends a lot of time outside you may want to consider these few tips to help keep them safe and your potted plants healthy. 1. Make your own potted plant fertilizer. If it is not safe for animals it can burn their paws when they try to dig. Make your own from kitchen scraps like egg shells, coffee grounds, citrus peels. Look it up online and see many recipes. 2. Try natural pest control. I use lemon juice in a spray bottle on my potted flower and it keeps the bugs away and isn't harmful to my dog. You can use essential oil, or dish soap to make other formulas. 3. Keep and standing water covered. 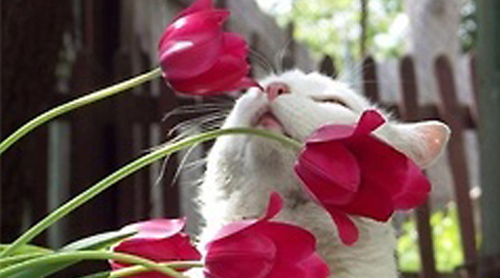 Mosquitoes tend to lay eggs in water and your pet may think the drainage saucer under your potted flowers is for them. Either dump it out, let them dry out or put a net over the water so your animals won't be tempted. 4. 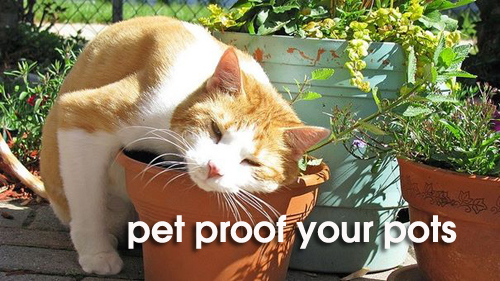 Make sure your plants and flowers are pet safe. Talk to your local garden center or nursery to make sure that what you pot not only looks lovely but is safe. You can go online to get a complete list. 5. Lastly you don't want any broken pots with sharp edges, wooden window boxes with splinters or anything that car hurt a pet who just wants a sniff. Check your planters at the start of each season. So, when potting your patio or backyard this year, keep these safety tips in mind. This way the garden is enjoyable for everyone in the family!